Salina /səˈlaɪnə/ is a city in and the county seat of Saline County, Kansas, United States. As of the 2010 census, the city population was 47,707. Located in one of the world’s largest wheat-producing areas, Salina is a regional trade center for north-central Kansas. It is home to multiple colleges. Prior to European colonization of the area, the site of Salina was located within the territory of the Kansa people. Claimed first by France as part of Louisiana and later acquired by the United States with the Louisiana Purchase in 1803, it was within the area organized by the U.S. as Kansas Territory in 1854. In 1856, a colony led by Preston B. Plumb established the first American settlement near the site at a location on the Saline River. Settlers led by journalist and lawyer William A. Phillips founded Salina in 1858. During the following two years, the territorial legislature chartered the town company, organized the surrounding area as Saline County, and named Salina the county seat. The westernmost town on the Smoky Hill Trail, Salina established itself as a trading post for westbound immigrants, prospectors bound for Pikes Peak, and area American Indian tribes. The town’s growth halted with the outbreak of the American Civil War when much of the male population left to join the U.S. Army. In 1862, local residents fended off American Indian raiders only to fall victim to a second assault by bushwhackers later that year. In May and June 1864, the Salina Stockade was built to protect the town against further Indian raids. Troops were garrisoned in Salina until March 1865, and some may have returned in June 1865. The stockade was probably used until at least spring or summer 1865. Growth returned with the soldiers after the war, and the town expanded rapidly with the arrival of the Kansas Pacific Railway in 1867. Salina incorporated as a city in 1870. The cattle trade arrived in 1872, transforming Salina into a cowtown. The trade brought the city further prosperity, but also a rowdy culture that agitated local residents. The cattle trade relocated westward just two years later. During the 1870s, wheat became the dominant crop in the area, steam-powered flour mills were built, and agriculture became the engine of the local economy. In 1874, Salina resident E. R. Switzer introduced alfalfa to area farmers, and its cultivation spread throughout the state. By 1880, the city was an area industrial center with several mills, a carriage and wagon factory, and a farm implement works. Salina was the location of the first garment factory of jeans maker Lee, which opened in 1889. Over the following decade, three railroads were built through the city. The success of the wholesale and milling industries drove Salina’s growth into the early 1900s such that, at one point, it was the third-largest producer in the state and the sixth-largest in the United States. In 1943, the U.S. Army established southwest of the city. The installation served as a base for strategic bomber units throughout World War II. Renamed Smoky Hill Air Force Base in 1948, the base closed the following year only to be reopened in 1951 as Schilling Air Force Base, part of Strategic Air Command. The re-opening of the base triggered an economic boom in Salina, causing the city’s population to increase by nearly two-thirds during the 1950s. The U.S. Department of Defense closed the base permanently in 1965, but the city of Salina acquired it and converted it into Salina Municipal Airport and an industrial park. This led to substantial industrial development, attracting firms such as Beechcraft, and made manufacturing a primary driver of the local economy. Today, Salina remains a center of trade, transportation, and industry in north-central Kansas. Salina is located at 38°50′25″N 97°36′41″W﻿ / ﻿38.84028°N 97.61139°W﻿ / 38.84028; -97.61139 (38.8402805, -97.6114237) at an elevation of 1,224 feet (373 m). Located in north-central Kansas at the intersection of Interstate 70 and Interstate 135, it is 81 miles (130 km) north of Wichita, Kansas, 164 miles (264 km) west of Kansas City, Missouri, and 401 miles (645 km) east of Denver, Colorado. Salina lies in the Smoky Hills region of the Great Plains approximately 6 miles (9.7 km) west-southwest of the confluence of the Saline and Smoky Hill Rivers. The Smoky Hill River runs north then northeast through the eastern part of the city; the Saline River flows southeast immediately north of the city. In the northeast part of the city, the old channel of the Smoky Hill branches from the river’s current course and winds west, north, and back east before draining back into the river. Mulberry Creek, a tributary of the Saline, flows northeast through the far northern part of the city. Dry Creek, a tributary of Mulberry Creek, flows north through the western part of the city. According to the United States Census Bureau, the city has a total area of 25.15 square miles (65.14 km2), of which 25.11 square miles (65.03 km2) is land and 0.04 square miles (0.10 km2) is water. Salina lies in the transition area between North America’s humid subtropical (Köppen Cfa) and humid continental climate (Köppen Dfa) zones. Consequently, summers in Salina are typically hot and humid, and winters are typically cold and dry. On average, January is the coldest month, July is the hottest month, and May is the month with the greatest precipitation. As is common in the region, Salina is prone to severe thunderstorms which may produce damaging winds, hail, and tornadoes. On June 21, 1969, an F3 tornado struck the southern part of the city, severely damaging or destroying more than 100 homes and businesses and injuring 60 people. On September 25, 1973, a second F3 tornado passed through the southeast part of town, injuring six people and destroying two houses and a trailer park. On June 11, 2008, another EF3 tornado passed on the south side of the town, severely damaging several buildings. The annual average temperature in Salina is 56.1 °F (13 °C). The monthly daily average temperature ranges from 31.0 °F (−0.6 °C) in January to 81.1 °F (27.3 °C) in July. The high temperature reaches or exceeds 90 °F (32 °C) an average of 62.6 days per year and reaches or exceeds 100 °F (38 °C) an average of 14.6 days per year. The low temperature falls below the freezing point, 32 °F (0 °C), an average of 111.8 days per year and below 0 °F (−18 °C) an average of 3.8 days per year. The hottest temperature recorded in Salina was 117 °F (47 °C) on August 12, 1936; the coldest temperature recorded was −31 °F (−35 °C) on February 13, 1905. On average, Salina receives 32.2 in (818 mm) of precipitation per year with the largest share being received in May through August. The average relative humidity is 64%. Snowfall averages 18.4 inches (47 cm) per year. Salina is the anchor city of the Salina Micropolitan Statistical Area which includes all of Saline and Ottawa counties. As of the 2010 census, there were 47,707 people, 19,391 households, and 12,024 families residing in the city. The population density was 2,092.4 people per square mile (807.9/km²). There were 20,803 housing units at an average density of 916.4 per square mile (353.2/km²). The racial makeup of the city was 86.2% White, 3.7% African American, 2.3% Asian, 0.5% American Indian, 0.1% Pacific Islander, 3.8% from some other race, and 3.3% from two or more races. Hispanics and Latinos of any race were 10.7% of the population. There were 19,391 households of which 31.6% had children under the age of 18 living with them, 45.3% were married couples living together, 4.9% had a male householder with no wife present, 11.8% had a female householder with no husband present, and 38.0% were non-families. 31.6% of all households were made up of individuals, and 11.6% had someone living alone who was 65 years of age or older. The average household size was 2.39, and the average family size was 2.99. In the city, the population was spread out with 25.1% of residents under the age of 18; 9.9% between the ages of 18 and 24; 25.4% from 25 to 44; 25.3% from 45 to 64; and 14.3% 65 years of age or older. The median age in the city was 36.4 years. The gender makeup of the city was 49.4% male and 50.6% female. The median income for a household in the city was $42,027, and the median income for a family was $54,491. Males had a median income of $39,143 versus $28,145 for females. The per capita income for the city was $23,253. About 9.3% of families and 13.6% of the population were below the poverty line, including 21.1% of those under age 18 and 7.3% of those age 65 or over. As of the census of 2000, there were 45,679 people, 18,523 households, and 11,873 families residing in the city. The population density was 2,009.6 people per square mile (775.9/km²). There were 19,599 housing units at an average density of 862.2 per square mile (332.9/km²). The racial makeup of the city was 87.76% White, 3.57% Black or African American, 0.56% Native American, 1.96% Asian, 0.05% Pacific Islander, 3.78% from other races, and 2.32% from two or more races. Hispanic or Latino of any race were 6.71% of the population. There were 18,523 households, of which 31.5% had children under the age of 18 living with them, 49.8% were married couples living together, 10.5% had a female householder with no husband present, and 35.9% were non-families. 30.1% of all households were made up of individuals and 11.3% had someone living alone who was 65 years of age or older. The average household size was 2.39 and the average family size was 2.98. In the city, the population was spread out with 25.9% under the age of 18, 10.0% from 18 to 24, 28.7% from 25 to 44, 21.1% from 45 to 64, and 14.3% who were 65 years of age or older. The median age was 35 years. For every 100 females, there were 95.8 males. For every 100 females age 18 and over, there were 92.8 males. The median income for a household in the city was $36,066, and the median income for a family was $45,433. Males had a median income of $31,250 versus $21,944 for females. The per capita income for the city was $18,593. About 6.7% of families and 9.6% of the population were below the poverty line, including 10.6% of those under age 18 and 9.2% of those age 65 or over. Salina was the location of the first garment factory for Lee Jeans, which opened in 1889. Manufacturing, education, health and social services are the predominant industries in Salina. Agricultural transportation is also a major industry. Major employers in the city include these: Tony’s Pizza, a Schwan Food Company brand, has operations in Salina to produce frozen pizzas and food for school cafeterias and other institutions; Philips Lighting, a global manufacturer of lighting solutions; Exide Battery, a storage battery manufacturer; , a farm equipment manufacturer; ElDorado National, a commercial bus manufacturer; and Asurion, an insurance provider. As of 2010, 71.0% of the population over the age of 16 was in the labor force. 0.4% was in the armed forces, and 70.6% was in the civilian labor force with 66.9% being employed and 3.7% unemployed. The composition, by occupation, of the employed civilian labor force was: 27.2% in management, business, science, and arts; 25.4% in sales and office occupations; 19.4% in service occupations; 9.9% in natural resources, construction, and maintenance; 18.2% in production, transportation, and material moving. The three industries employing the largest percentages of the working civilian labor force were: educational services, health care, and social assistance (21.2%); manufacturing (17.8%); and retail trade (13.1%). The cost of living in Salina is relatively low; compared to a U.S. average of 100, the cost of living index for the city is 80.9. As of 2010, the median home value in the city was $109,700, the median selected monthly owner cost was $1,070 for housing units with a mortgage and $396 for those without, and the median gross rent was $599. Salina is a city of the first class with a commission-manager form of government which it adopted in 1921. The city commission consists of five members elected at large, one of whom the commission annually selects to serve as mayor. Commission candidates who receive the most and second–most votes are elected for a four-year term; the candidate who receives the third most votes is elected for a two-year term. The commission sets policy and appoints the city manager, who serves as the chief executive, responsible for administering the city government and appointing all city employees. The Salina Fire department operates four stations inside the city. As the county seat, Salina is the administrative center of Saline County. The county courthouse is located downtown, and all departments of the county government base their operations in the city. Salina lies within Kansas’s 1st U.S. Congressional District. For the purposes of representation in the Kansas Legislature, the city is located in the 24th district of the Kansas Senate and the 69th, 71st, and 108th districts of the Kansas House of Representatives. Interstate 70 and U.S. Route 40 run concurrently east-west north of Salina. Interstate 135 and U.S. Route 81 run concurrently north-south along the west side of the city. The I-70/I-135 interchange northwest of the city is the northern terminus of I-135. K-140, which approaches Salina from the southwest, formally ends at its interchange with I-135 before entering the city as State Street. North of Salina, the city’s main north-south thoroughfare, Ninth Street, becomes K-143 at its interchange with I-70. CityGo is the local public transport bus service, operating five routes in the city (yellow, blue, red, purple and green). CityGo also provides intercity paratransit bus service to surrounding communities. Greyhound Lines provides bus service westward towards Denver, Colorado and eastward toward Kansas City, Missouri. Bus service is provided daily southward towards Wichita, Kansas by BeeLine Express (subcontractor of Greyhound Lines). Salina Municipal Airport is located southwest of the city. Used primarily for general aviation, it hosts one commercial airline United Express with flights to Chicago Ohare and Denver International Airport. Union Pacific Railroad operates one freight rail line through Salina. Its Kansas Pacific (KP) Line runs northeast-southwest through the northern part of the city. 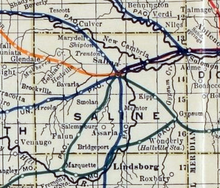 Salina is also the southeastern terminus of the Salina Subdivision of the Kansas and Oklahoma Railroad. The city government’s Department of Public Works is responsible for water treatment and distribution, waste water removal, sewer maintenance, and trash collection. Westar Energy provides electric power. Residents primarily use natural gas for heating fuel; natural gas service is provided by Kansas Gas Service. There are two hospitals in Salina: Salina Regional Health Center, a 204-bed not-for-profit general medical and surgical facility; and Salina Surgical Hospital, a specialized, 16-bed surgical facility. The Salina Journal is the local newspaper, published daily. Salina is a center of broadcast media for north-central Kansas. Three AM and 13 FM radio stations are licensed to and/or broadcast from the city. Salina is in the Wichita-Hutchinson television market, and five television stations broadcast from the city. These include two independent stations as well as ABC, Fox, and NBC affiliates which are satellites of their respective affiliates in Wichita. Salina is also home to the only Public, educational, and government access (PEG) cable TV channels in the state. Cox Communications is the main cable system serving the city, and customers can see local programming and create their own programming to be shown on channels 20 and 21. The city holds several community events throughout the year. Each June, the Salina Arts & Humanities department holds the Smoky Hill River Festival. Held in Oakdale Park and lasting three and a half days, the Festival includes arts and crafts shows, music concerts, games, and other activities. Originally held as a downtown street parade in 1976 to celebrate the United States Bicentennial, the festival proved popular enough for the city to hold it every year. To celebrate Independence Day, the city puts on its All American Fourth and Play Day in the Park which includes children’s games, music, and dance performances in Oakdale Park. The Smoky Hill Museum Street Fair takes place in September and includes a parade, a chili cook-off, and historic demonstrations. In November, downtown Salina hosts the city’s Christmas Festival which includes a 5k run, a mile walk, live music, dance performances, children’s entertainment and the Parade of Lights, a parade of floats decorated with Christmas lights. The city’s private organizations host several annual expos, fairs, trade shows, and various other events. Several of these pertain to area agriculture including the Chamber of Commerce’s Mid-America Farm Expo in March, the Discover Salina Naturally Festival in May, the 4-H Tri-Rivers Fair and Rodeo in August, and The Land Institute’s Prairie Festival in September. Other annual events held in the city include the Home Builders Associations of Salina’s Home and Leisure Show in February, the ISIS Shrine Circus and Saline County Mounted Patrol Rodeo in April, the Smoky Hill Sportsman Expo in August, Blue Heaven Studios’ Blues Masters at the Crossroads festival in October, and the Prairie Longrifles Wild West Trade Show in December as well as several car shows and high school sports events. Operated by the city government’s Arts & Humanities department, the Smoky Hill Museum contains artifacts and exhibits on local history, agriculture, and education with collections dating back to 1879. The museum also offers public educational programs. The Tony’s Pizza Events Center (formerly Bicentennial Center) is the primary venue in the city for large indoor events. It includes a 7,500-seat multipurpose arena and the 18,000 sq ft (1,700 m2) Heritage Hall convention center. The Center hosts concerts, sporting events, and trade shows. The Rolling Hills Wildlife Adventure is a public zoo and wildlife park located 6 miles (9.7 km) west of the city near Hedville. In addition to its animal exhibits, the zoo includes a wildlife museum. Indian Rock is the tallest point in the Salina area and is home to a park and several hiking trails. Salina Community Theatre (SCT) is a regionally acclaimed theater, producing seven seasonal shows and three summer shows every year. Productions range from the contemporary, such as ABBA’s “Mamma Mia!” and Disney’s “Newsies”, to classics such as “Miracle on 34th Street”. There are more than 70 Christian churches in and around Salina including the cathedral of the Roman Catholic Diocese of Salina (Sacred Heart Cathedral) and the cathedral of the Episcopal Diocese of Western Kansas (Christ Cathedral). The Roman Catholic Diocese has its regional administrative offices in Salina as do the Presbytery of Northern Kansas and the Salina District of the United Methodist Church which is based at Kansas Wesleyan University. A Buddhist temple is located northwest of the city. Salina hosted the Kansas Cagerz and Salina Rattlers basketball teams. Salina hosts the National Junior College Athletic Association Division I women’s basketball national tournament each season in the Bicentennial Center. Salina hosted the Women’s Big Eight basketball tournament at the Bicentennial Center. When the Big Eight became the Big 12, the tournament was moved to Kansas City, Missouri. Salina hosts the Kansas State High School Activities Association (KSHSAA) Class 4A State Wrestling Tournament as well as the Class 3A & 4A Volleyball Tournaments, the Class 4A State Basketball Tournament, and the Class 4A State Softball Tournament. Salina also occasionally hosts the Class 4A State Baseball Tournament and one of the state championship football games. Salina was home to the Salina Bombers, an indoor football team playing in the Champions Professional Indoor Football League from 2013-2014, then Champions Indoor Football. Salina hosts the Salina Liberty, the second indoor football team from the city, who now play in the CIF. Salina is the home of the Kansas Wesleyan University Coyotes, a 20-sport National Association of Intercollegiate Athletics athletics program. The Coyotes have been a member of the Kansas Collegiate Athletic Conference since 1928. The 1980 teen comedy film Up the Academy starring Ralph Macchio was filmed entirely in Salina, mostly on the campus of St. John’s Military School. In Alfred Hitchcock‘s film Vertigo, the character Judy Barton (played by Kim Novak) comes from Salina (425 Maple Avenue). The Avett Brothers wrote a song titled “Salina” which was included on their 2007 album Emotionalism. Notable individuals who were born in and/or have lived in Salina include former White House press secretary Marlin Fitzwater, dancer and war correspondent Betty Knox of the variety act Wilson, Keppel and Betty, astronaut Steven Hawley, former Governors of Kansas John W. Carlin and Bill Graves, radio broadcaster Paul Harvey, inventor of Lee Jeans Harry Lee. ^ a b c d e f “GNIS Detail – Salina”. Retrieved August 22, 2016. ^ a b “US Gazetteer files 2010”. United States Census Bureau. Archived from the original on July 14, 2012. Retrieved July 6, 2012. ^ “American FactFinder”. United States Census Bureau. Retrieved July 6, 2012. ^ United States Postal Service (2012). “USPS – Look Up a ZIP Code”. Retrieved February 15, 2012. ^ a b c d e f g h “American FactFinder 2”. United States Census Bureau. Retrieved October 20, 2011. ^ Sturtevant, William C. (1967). 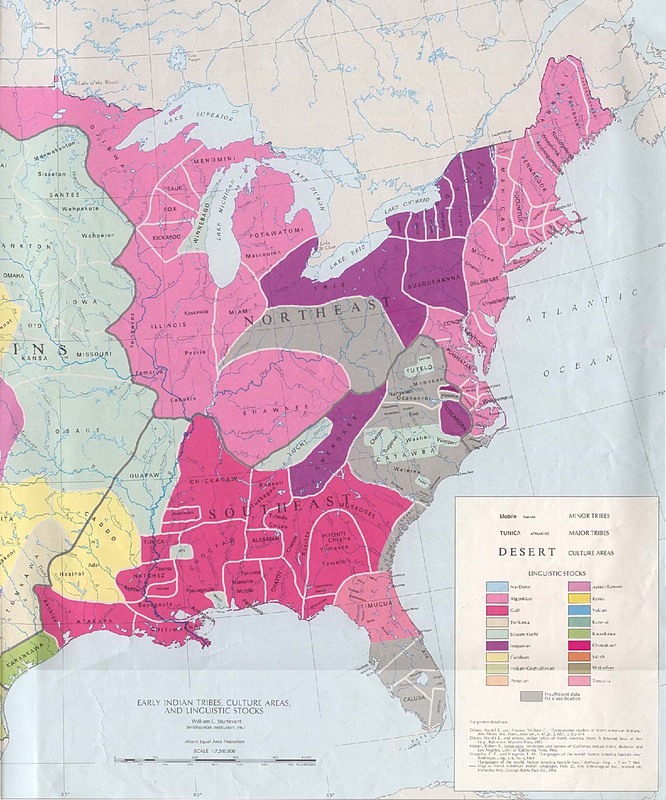 “Early Indian Tribes, Culture Areas, and Linguistic Stocks [Map]”. Smithsonian Institution. Retrieved March 5, 2014. ^ “Louisiana Purchase”. Kansapedia. Kansas Historical Society. August 2012. Retrieved March 5, 2014. ^ “Kansas Territory”. Kansapedia. March 2013. Retrieved March 5, 2013. ^ a b c d “Salina History”. City of Salina, Kansas. Retrieved March 5, 2014. ^ a b c Blackmar, Frank W., ed. (1912). “Salina”. Kansas: a cyclopedia of state history, embracing events, institutions, industries, counties, cities, towns, prominent persons, etc. 2. Chicago: Standard. pp. 634–635. ^ Blackmar, Frank W., ed. (1912). “Saline County”. Kansas: a cyclopedia of state history, embracing events, institutions, industries, counties, cities, towns, prominent persons, etc. 2. Chicago: Standard. pp. 635–639. ^ a b WPA (1949). Kansas: A Guide to the Sunflower State. New York City: Hastings House. p. 273. ^ a b “Lee Jeans History”. lee.com. Retrieved October 19, 2010. ^ a b “SAC Bases: Smokey Hill / Schilling AFB”. Strategic-Air-Command.com. Retrieved July 17, 2010. ^ “Narrative”. Salina Area Chamber of Commerce. 2008. Retrieved July 17, 2010. ^ “City Distance Tool”. Geobytes. Retrieved September 5, 2013. ^ “Latitude/Longitude Distance Calculator”. National Hurricane Center. Retrieved October 7, 2010. Used Latitude/Longitude of river confluence from United States Geological Survey and the latitude/longitude given on this page for Salina to calculate distance. ^ “General Highway Map – Saline County, Kansas” (PDF). Kansas Department of Transportation. October 2008. Retrieved September 5, 2013. ^ a b c “City of Salina [Map]” (PDF). Kansas Department of Transportation. August 1, 2011. Retrieved February 13, 2014. ^ “Average Weather for Salina, KS”. The Weather Channel. Retrieved September 5, 2013. ^ Grazulis, Thomas P. (1993). Significant tornadoes, 1680-1991: A Chronology and Analysis of Events. St. Johnsbury, Vermont: Environmental Films. p. 1105. ISBN 1-879362-03-1. ^ Barbara Phillips (September 27, 1973). “Tornadoes take heavy Kansas toll”. Salina Journal. p. 2. ^ Lawson, Rob (June 12, 2008). “June 11th, EF-3 Tornado and Extremely Large Hail Slam Central Kansas”. Wichita National Weather Service News Archives. National Weather Service Wichita KS. Retrieved March 13, 2010. ^ a b “NOWData – NOAA Online Weather Data”. National Weather Service Forecast Office – Wichita, KS. Retrieved September 5, 2013. ^ a b c d National Weather Service (March 2015). “Records/Extremes”. National Oceanic & Atmospheric Administration. Retrieved April 18, 2015. ^ a b “Salina, Kansas Travel Weather Averages”. Weatherbase. Retrieved September 5, 2013. ^ a b National Weather Service. “Monthly Summarized Data 1981-2010”. NOWData. National Oceanic & Atmospheric Administration. Retrieved April 18, 2015. ^ United States Census Bureau. “Census of Population and Housing”. Retrieved November 30, 2014. ^ “Updates to Statistical Areas; Office of Management and Budget” (PDF). Executive Office of the President, Office of Management and Budget. November 20, 2008. Retrieved October 28, 2009. ^ a b “American FactFinder”. United States Census Bureau. Retrieved January 31, 2008. ^ a b Saline County Emergency Management (February 2009). “It Can Happen Here”. A Study of the Hazards affecting Saline County, Kansas and their effects on the Community. Saline county Emergency Management. Archived from the original on March 2, 2012. Retrieved February 11, 2014. ^ The Schwan Food Company (2007). “Communities of Operation”. theschwanfoodcompany.com. The Schwan Food Company. Archived from the original on April 9, 2008. Retrieved March 13, 2010. ^ Phillips Lighting (June 2009). “An energy saving solution for government facilities…” (PDF). Phillips Lighting. Retrieved March 13, 2010. ^ Exide Technologies. “Exide’s Worldwide Facilities”. exide.com. Exide Technologies. Retrieved March 17, 2010. ^ Great Plains Manufacturing. “Great Plains Contact Information”. greatplainsmfg.com. Great Plains Manufacturing. Retrieved March 17, 2010. ^ Web Creations and Consulting (2006). “About the Company”. enconline.com. ElDorado National. Retrieved March 17, 2010. ^ a b c d “Salina, Kansas”. City-Data.com. Retrieved December 20, 2011. ^ “COMPREHENSIVE ANNUAL FINANCIAL REPORT OF CITY OF SALINA, KANSAS” (PDF). State of Kansas. December 31, 2014. ^ a b “Salina”. Directory of Kansas Public Officials. The League of Kansas Municipalities. Retrieved December 20, 2011. ^ a b “City Commission”. City of Salina, Kansas. Retrieved February 27, 2010. ^ “City Government”. City of Salina, Kansas. Retrieved February 27, 2010. ^ “Saline County–Official County Government Website”. Retrieved February 13, 2014. ^ “Salina USD 305 School Websites and Handbooks”. Salina USD 305. Retrieved February 28, 2010. ^ “Salina Public Schools / Overview”. Retrieved August 22, 2016. ^ “About St. John’s Military School”. St. John’s Military School. Retrieved February 28, 2010. ^ “Welcome”. Salina Christian Academy. Retrieved February 28, 2010. ^ Mathews, Erin (April 16, 2009). “Saving Lives & Property: A Fire Department Grows Up”. Salina Journal. Archived from the original on September 27, 2011. Retrieved December 12, 2009. ^ “2011-2012 state transportation map” (PDF). Kansas Department of Transportation. Retrieved January 18, 2011. ^ “OCCK Transportation Services”. OCCK Inc. Retrieved February 13, 2013. ^ a b “Greyhound”. Retrieved August 22, 2016. ^ info@beeline-express.com, beeline-express,. “Beeline Express”. Retrieved August 22, 2016. ^ “UPRR Common Line Names” (PDF). Union Pacific Railroad. Retrieved May 8, 2010. ^ “Kansas & Oklahoma Railroad – Detailed Map”. Watco, Inc. Archived from the original on May 6, 2009. Retrieved May 8, 2010. ^ a b “Guide to City Services – M–Z”. City of Salina, Kansas. Retrieved February 6, 2014. ^ “Salina Regional Health Center – Stats & Services”. U.S. News Best Hospitals. U.S. News & World Report. Retrieved February 6, 2014. ^ “Salina Surgical Hospital – Stats & Services”. U.S. News Best Hospitals. U.S. News & World Report. Retrieved February 6, 2014. ^ “Record Details – Salina Journal”. Kansas Press Association. Retrieved July 15, 2013. ^ “Radio Stations in Salina, Kansas”. Radio-Locator. Retrieved July 15, 2013. ^ “TV Market Maps – Kansas”. EchoStar Knowledge Base. Archived from the original on July 26, 2011. Retrieved October 20, 2011. ^ “TVQ TV Database Query”. Federal Communications Commission. Archived from the original on May 8, 2009. Retrieved September 13, 2009. ^ “Stations for Hays, Kansas”. RabbitEars. Retrieved July 15, 2013. ^ “Contact Us”. KSAS-TV. Retrieved October 20, 2011. ^ a b “Primary Annual Events”. Salina Visitors Guide. Salina Area Chamber of Commerce. Retrieved August 23, 2014. ^ “Smoky Hill River Festival”. Salina Arts & Humanities. Retrieved August 23, 2014. ^ “Smoky Hill River Festival – History”. Riverfestival.com. Retrieved March 2, 2014. ^ “All American Fourth/Play Day in the Park”. Salina Area Chamber of Commerce. Retrieved August 23, 2014. ^ “Street Fair”. Smoky Hill Museum. Retrieved August 23, 2014. ^ “Christmas Festival & Parade of Lights”. Salina Area Chamber of Commerce. Retrieved August 23, 2014. ^ “Community Calendar”. Salina Area Chamber of Commerce. Retrieved August 23, 2014. ^ “About Us”. Smoky Hill Museum. Retrieved September 28, 2014. ^ “General Information for the Arena”. Salina Bicentennial Center. Retrieved September 28, 2014. ^ “Rolling Hills Zoo”. Google Maps. Retrieved September 28, 2014. ^ “About Us”. Rolling Hills Zoo. Archived from the original on November 27, 2005. Retrieved September 28, 2014. ^ “Find a Church in Salina, KS”. Patheos. Retrieved August 24, 2014. ^ “Churches in Salina by Denomination”. Churchangel.com. Retrieved August 24, 2014. ^ “Parish”. Sacred Heart Cathedral. Retrieved August 23, 2014. ^ “About”. Christ Cathedral. Retrieved August 23, 2014. ^ “History”. Roman Catholic Diocese of Salina. Archived from the original on May 24, 2010. Retrieved August 23, 2014. ^ “Contact”. Presbytery of Northern Kansas. Retrieved August 23, 2014. ^ “Salina District”. Great Plains United Methodists. Retrieved August 23, 2014. ^ Fiedler, Gordon, Jr. (November 20, 2011). “Buddhist monks find calling in Kansas temple”. Topeka Capital Journal. Retrieved August 23, 2014. ^ Davidson, Bob (January 9, 2007). “USBL decides to take a breather for ’08 – USBL quits”. The Salina Journal. Retrieved February 17, 2011. ^ “IBA Closes Its Doors”. The Salina Journal. August 17, 2001. Retrieved February 17, 2011. ^ “Juco women’s tournament to stay in Salina through at least 2015”. The Salina Journal. March 31, 2011. Retrieved April 22, 2011. ^ “Up the Academy”. June 6, 1980. Retrieved August 22, 2016 – via IMDb. ^ Luke McKernan (2007). “The Wilson, Keppel and Betty Story” (PDF). ^ a b “Hall of Fame”. Salina Central High School. November 5, 2010. Retrieved November 9, 2010. ^ “John W. Carlin”. Kansas Memory. Kansas Historical Society. Retrieved February 6, 2014. ^ Salina Journal staff (January 9, 2012). “A look back”. The Salina Journal. Neighbors section, page 5. Most of the talks were nostalgic remembrances of Salina of the 1930s when Paul Harvey worked for a local radio station.